Kimberly and Slav Aperyan recently moved to Cocoa Beach, FL from San Antonio, TX. They belonged to the Armenian community in TX and are hoping to do the same in Cocoa. 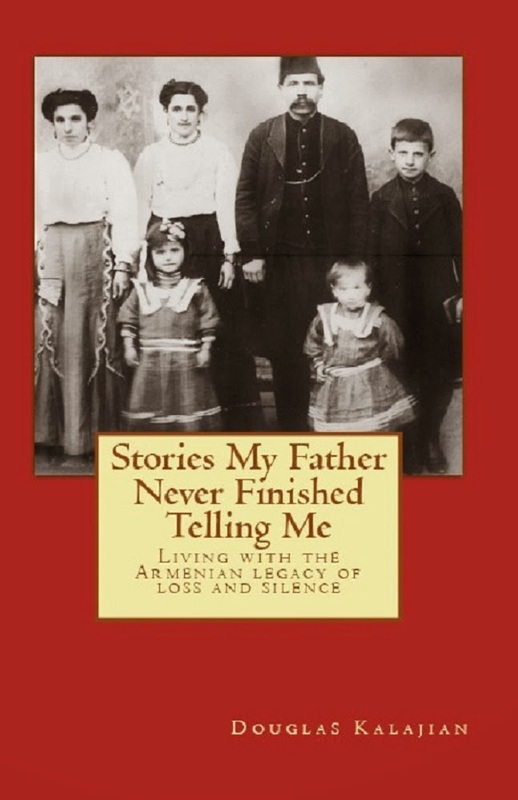 Not knowing where to turn, Kimberly wrote to TheArmenianKitchen.com in search of Armenian families in her area. 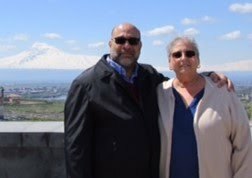 I was able to provide them with the name of a newly built Armenian church in Orlando, about an hour away, so with luck, they might find families living closer by. Recipe-wise, Kimberly said she wished to learn how to make basterma (no problem) and tvorog (a new one on me!). I sent her our link for making basterma, but had to research “tvorog”, basically a farmer's cheese. Thank goodness for Google! I wondered if there was an Armenian word for tvorog, so I contacted Tom Merjanian to ask if he knew. VA – makes it a conjunctive for the compound word. Ser – is either Love – improbable – or CREAM – which makes sense. Yolinka's blog offers step-by-step photos in the preparation of tvorog. What recipes can be made with Tvorog? Yolinka says, "It's eaten with jam and sour cream for breakfast, as a snack or as a light dinner, and is used in all sorts of sweet and savory baking." Ah, another satisfied customer; I rest easy! Not sure if tvorog and tutvaser are the same thing. Tutvaser, as far as I know, is just sour cream. I have seen the word used in that sense in Armenian recipe books. There is actually a fascinating introduction to on of my recipe books that describes the many (and there are many) dairy products in common use in Western Armenia before the Genocide. If I can find it again, I will post the translation. YOU ALWAYS HAVE SOMETHING INTERESTING TO ADD TO THE CONVERSATION. ANYTHING MORE ON THE BRINDZ PANIR? TVOROG is the curd. in armenaian we say GATNASHOR. "shor" or "lor" (Musadaghian's "chukalik" or "chekaloog" haven't you heard anytime?) is made from the remained "tan". they prepare the butter, by beating the matsuni, the oil will come up. they boil the remained water, like tan, it will turn into curd. put it in a bag, in order the extra water strain. the second way to receive gatnashor is by boiling the old milk with a few drops of lemon juice. & TTVASER is the sour cream, received from the surface of non-boiled milk preparing like matsuni. hope I could explain the preparation. Thank you, Sonia, for your explanation. Now that you mention the word 'chukalik', it does ring a bell. "choukalik" is the main ingredient of SOURKI (Musadaghians' moldy cheese) & banre huts.